The 1400 fuel point by Harlequin is a standard spec 1,400L bunded fuel dispenser. Harlequin’s diesel fuel storage tanks are manufactured to the highest quality. 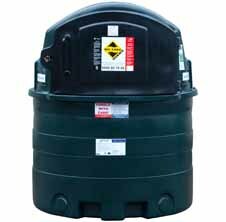 All storage tanks come with a variety of guarantees and approvals. You can also check out our higher spec 1,400FS if a higher specification is required.